If there’s one thing that gets me motivated, it’s random challenges. Some previous challenges I’ve completed were No new clothes in 2011, Whole30, Home Baked Only October (HoBOO), No supermarkets for a month, No Facebook for a month, Screen free week etc. Most of them were a little bit difficult, but I don’t think I’ve given up on one yet. These kind of challenges work for me because they force my creativity. I can’t go back to my default; I can’t get caught in bad habits; I can’t just move mindlessly through life. I have to think about things, even ordinary things, and find new ways to get things done. At the end of last year, I started to get fed up with my ‘uniforms’ – I was wearing the same things over and over, wearing my (super rad) black jeans way too often, and leaving half my wardrobe unworn. About the same time, I heard about Dressember (dresses only for all of December). Ever a sucker for a catchy name, I decided to give it a go. I started off great guns – wearing the dresses that sit at the back of the wardrobe, never worn; designing creative outfits; making sure I didn’t repeat items. But as the month went on, it got harder. I started to add skirts in, and there were a few repetitions. And then on the 20th of Dressember, I went in for a minor surgical procedure (hospital gown counts as a dress right)? During the recovery, I really struggled. I ended up alternating between two maxi dresses for most of the rest of the month. But still I stuck to it. A dress always feels a little dressy. And feeling a little dressy can really cheer you up. I have a LOT of clothes. And I really need to get culling before we move overseas. The engineer is super patient, and a pretty good photographer. I like photo editing, and like to make the pictures from my $1000 camera look like they were taken by a toy camera. I also realise that this is a little bit ridiculous. Being sick makes it really difficult to be creative. Challenges help. 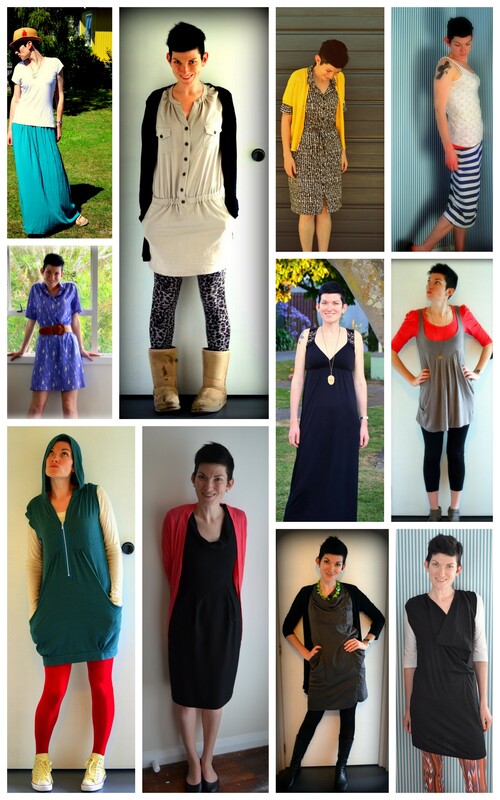 I can hardly call it life-changing, but Dressember was a lot of fun. And I’m definitely keen to give it another go in 2013. Hopefully without the surgery!